Photo courtesy of ‘Wild Desu’. Screenshot of the anime: “Cream Lemon: Escalation”. She’s not a mastar she’s a mistrus. I know she’s pretty cute, but you can mastar your desires. Keep it in your pants. She is the Mastar of Linguage. For a layman, the prospect of learning English like this is a master bait! Later she can study for a doctarate. Mastar is probably written like that intentionally. Not even close to a true Engrish passage. Years of study, finarry paid off! Hide of a manga can make the feel flustared. 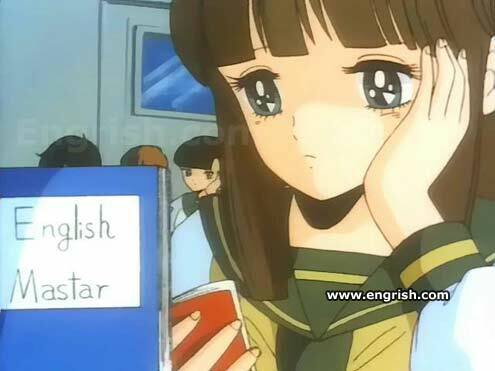 If she’s the English Mastar, I’m the Engrish Professar. In Turkish “Mastar” means “infinitive clause” That can make some sense, via Turkish though…. probably, a pervart book was under that fake cover. The true definition of irony…..
Books can be liars too. I don’t get it. I don’t see no impropar English. She’s bored it’s not Mastur! Good thang A braught may taxtbook sa A wan’t have ta capy aff af har. That ain’t English, it’s Anglish!